You guys…I have done it. I have made the perfect brownie. From scratch. Perfect amount of chocolate. Perfect amount of gooey. Perfect amount of chewy. Perfect amount of decadence. Perfect amount of (yes…I went there) peanut butter. And did I mention it is from scratch? Those of you who know my baking history know that back in my younger years, I couldn’t bake a boxed brownie mix without burning it. True story. 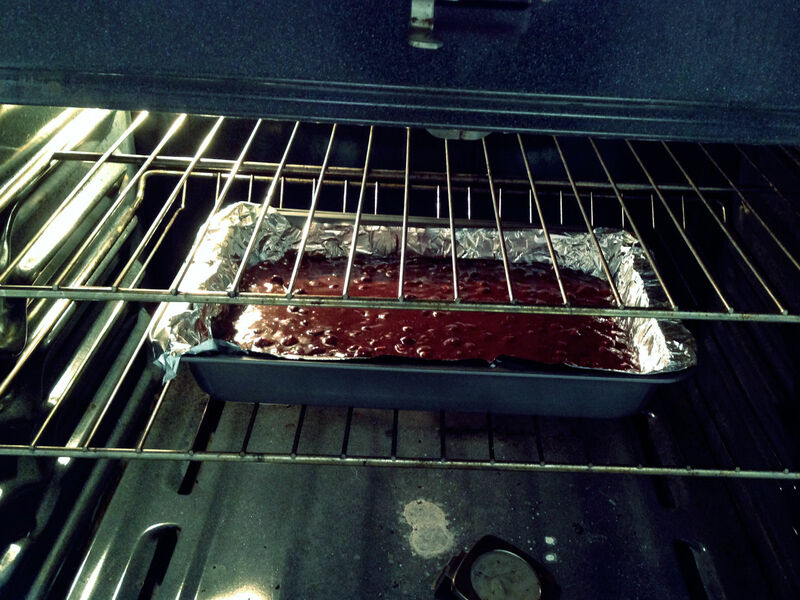 I’ve come leaps and bounds since then, but up until this past week, I had not made a batch of brownies from scratch that warranted the extra effort of the “from scratch” part. They were always too cakey, not rich enough, too gooey, or just had some slight flavor that didn’t do it for me. NOT TODAY, PEOPLE. 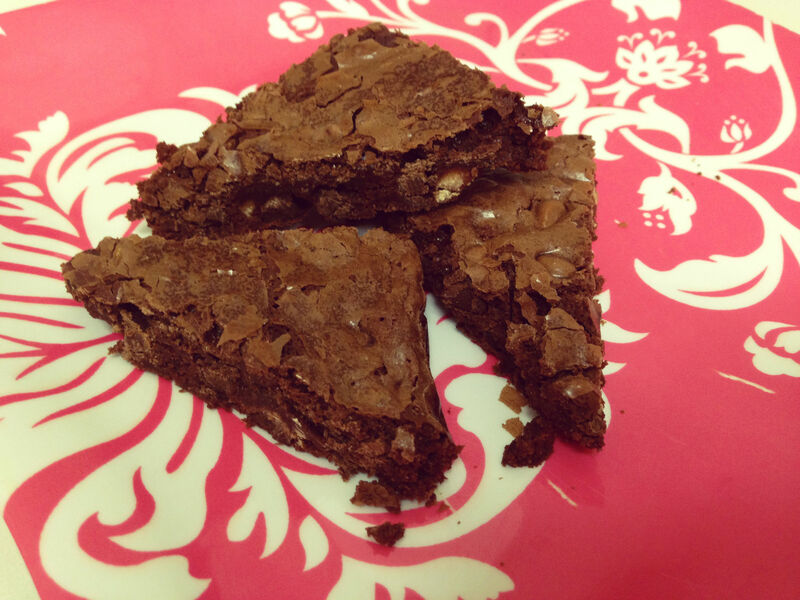 I finally took my knowledge of all these not-quite-good-enough recipes and combined them to make THE PERFECT BROWNIE. Now, in my world, the perfect brownie has peanut butter. So, naturally, this recipe has loads of that. And, of course, chocolate. Lots of that, too. This brownie makes me giddy with joy. When I took the first bite, I didn’t even really think about it. 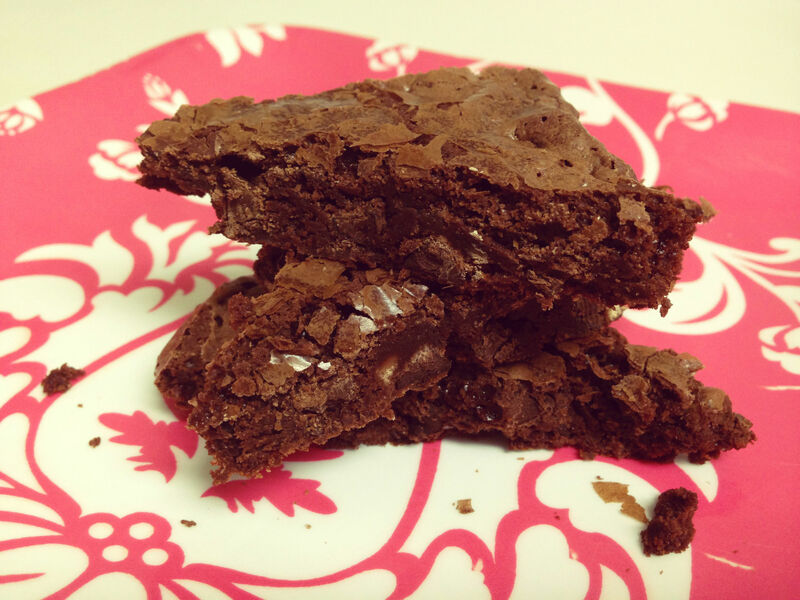 I was just like, “Oh brownie, how I missed you.” And then, suddenly, I realized, “I MADE YOU FROM SCRATCH! …AND YOU ARE THIS PERFECT! …WHAT THE HECK!?! 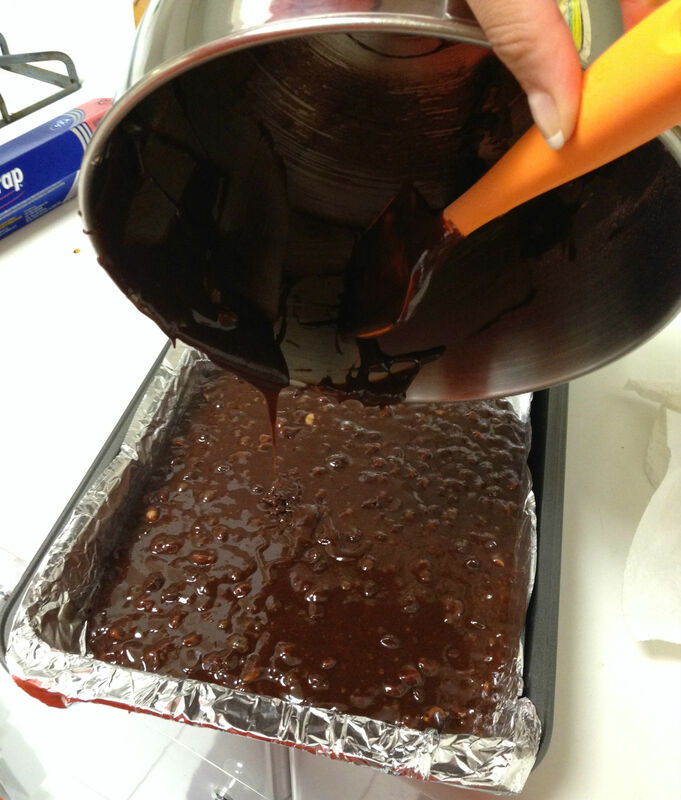 ?” Sorry, not to toot my own horn – but I cannot even tell you how many batches of brownies I have made over the past two years only to be disappointed that it wasn’t my trusty Duncan Hines or Betty Crocker boxed delicacy. This is a BIG DEAL to me. No more box. No more disappointment. Just pure, chocolaty bliss. I won’t make your mouth water any more. Just go make these yourself. You will see. Nix the peanut butter chips if they aren’t your cup of tea, and add in some walnuts if you fancy those. I fiddled with the flour amount until I got it just the right amount of gooey without being too much like pure chocolate. It is a delicate balance, but, when you find it, the result is beautiful. And awesome. If you like yours cakeier, you could add some more flour…but I don’t understand people like you. Chewy and gooey is where it’s at. I call this recipe the “Double Chocolate Peanut Butter Brownie” because I use chocolate in two separate steps to make sure it is extra rich. Enjoy! Melt butter and chocolate on stove over medium heat. Stir constantly (about 5 minutes). Pour into mixing bowl and let cool for 5-10 minutes. Preheat oven to 350 degrees F.
Add sugar and stir until combined. Add vanilla extract. Add eggs one by one, combining completely with each addition. **You can add nuts at this point too in place of peanut butter chips, or leave out peanut butter chips entirely.